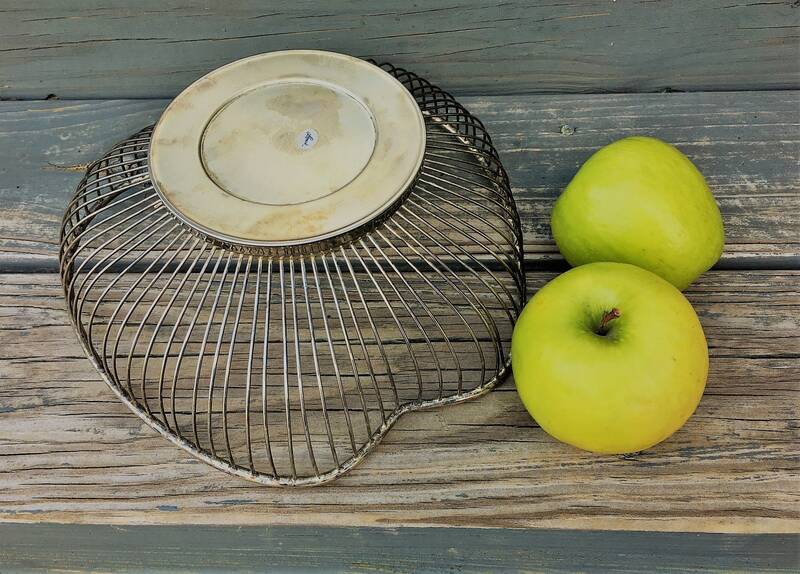 Featured is a vintage silver-plated wire basket in the shape of an apple with an applied metal leaf accent. 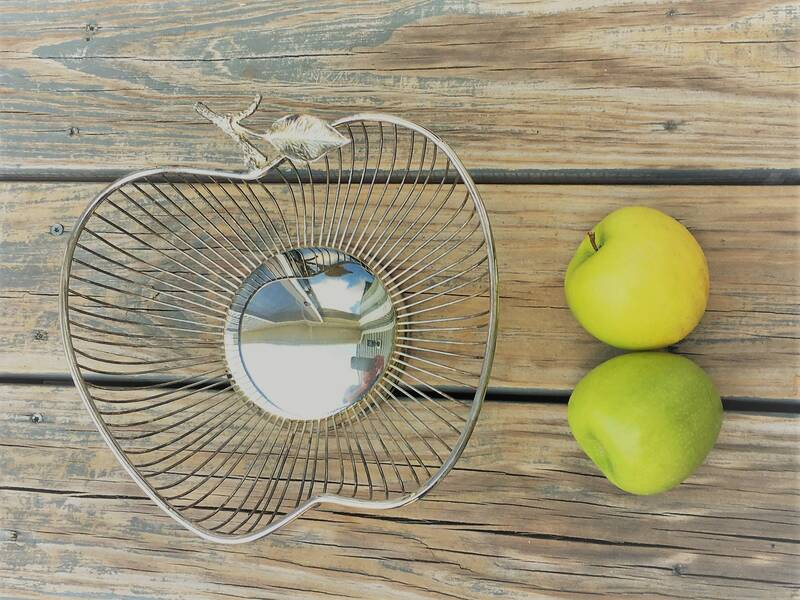 Perfect for use as a fruit bowl, bread basket or modern centerpiece. 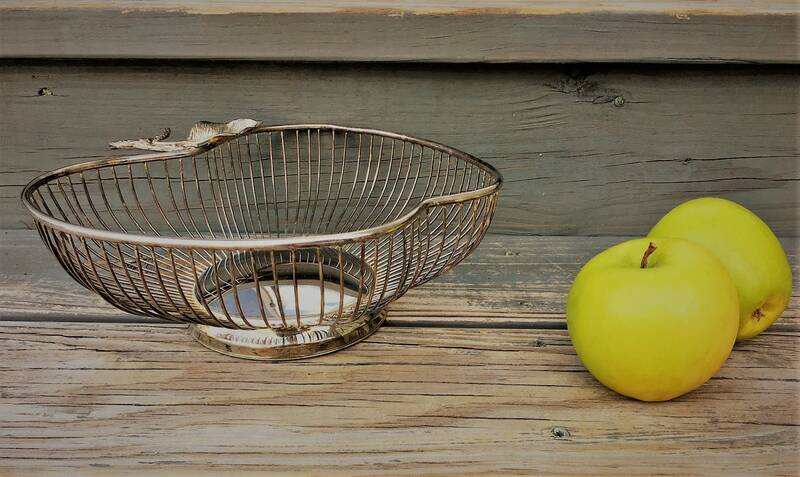 This minimalist metal basket is a great complement to mid century décor and measures approx. 9 1/2 in. at its widest point x 9 in. at its longest, excluding leaf. It's 3 1/4 in. tall, including a 3/4 in. deep round base that measures 4 3/4 in. in diameter. 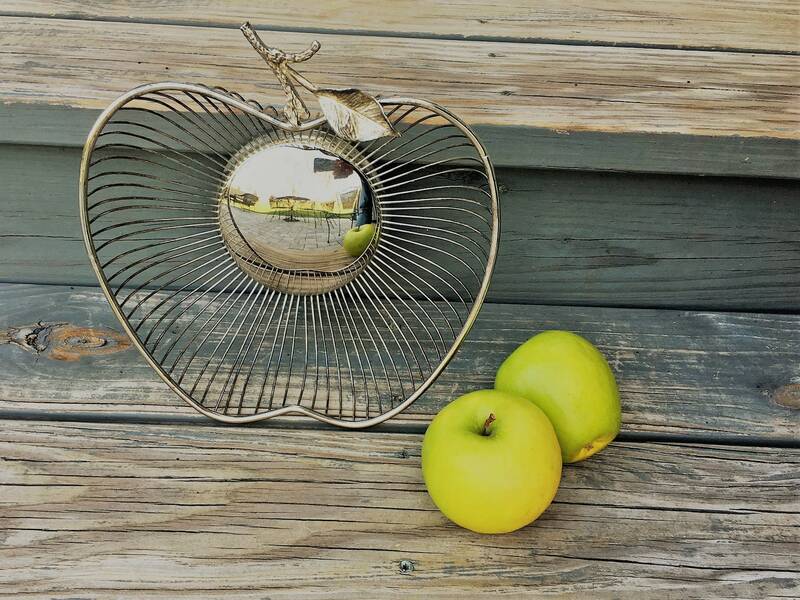 The basket was given a very light polish; some tarnish remains and will darker over time. Foil sticker on the bottom reads "Leonard" and it is stamped "Silver Plated" and "Make in Hong Kong."